I have been thinking so much about our upcoming homeschool year while reflecting on previous homeschool years and have decided to make a change. I made a simple decision that I hope will benefit our family immensely. This year we are slowing down. You may be wondering what in the world I mean. I mean simply that…we are slowing down. We are eliminating activities that no longer serve us or grow us. We are very lucky to live in a community with so many homeschooling families. There are many local groups that offer park days, recess days, art days, PE days, field trip days, all kinds of homeschool days are available to homechoolers in our community. It is truly awesome and often overwhelming. Trying to fit it all in….. I didn’t realize quite how overwhelming all of this was until a sat down and reflected on our previous homeschool years. It didn’t take long for me to realize that I have been trying to fit it all in and it really isn’t working for us. In previous years I didn’t want to miss any opportunities that could enrich our children’s lives. I often told people that we were so lucky to have such an amazing homeschool community. I told them that we were so busy I could hardly find time to sit down and read a book with my kids! As I reflect, I realize that trying to do it all wasn’t enriching our lives at all and that I really do want time to sit down and read a book with my kids. This was the moment that I knew we simply had to slow down. The moment that I realized that we had been too busy I sat down and considered what changes needed to be made. I decided that this year we will spend our time and energy on our favorite things, things that will grow us. 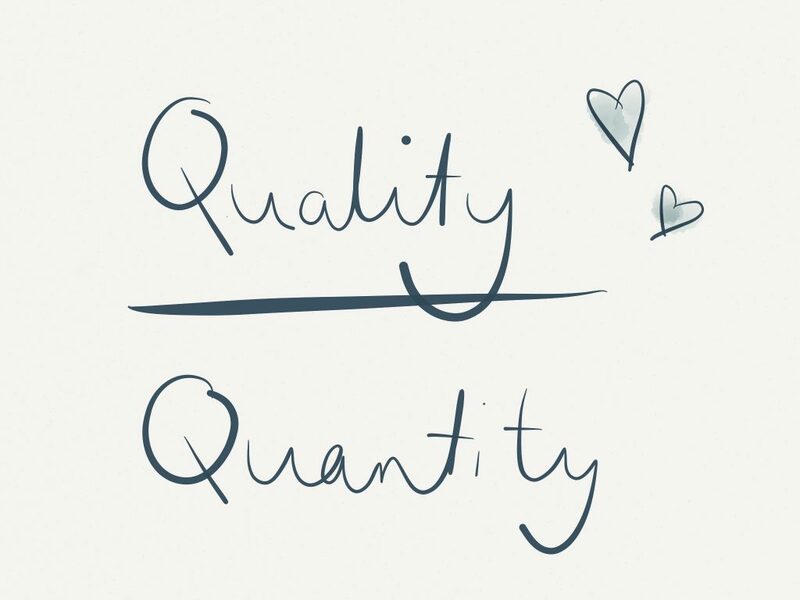 This year we will focus on quality not quantity. Once I made the decision to slow down I needed to figure out how to do this. First, I considered our priorities. Alex takes such satisfaction in Lego robotics, Ava takes such an interest in art, and Audrey loves to play. Then I focused on those priorities. This slowing down became very appealing to me. 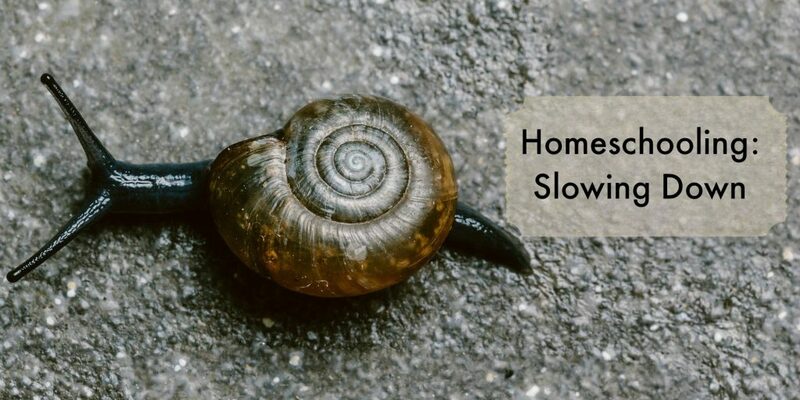 I am aware of the benefits of slow living and learning and I thought we were going kinda slow until this summer. It seems that you really don’t know how busy you are until you slow down. This summer park days and field trips stopped. Alex walked away from fencing, Ava took a break from piano, and the girls had a month off from dance. This freed up so much time and it was amazing. Slowing down allowed Alex to focus on his new passion….fishing. Ava enjoyed her time sketching and creating. Audrey spent more time than she ever has playing independently in her room. The benefits that I witnessed while taking a break from our activities reinforced my decision to slow down. Focusing on our favorite things instead of just squeezing activities in because they are available caused me to exhale. I was able to focus on us and our passions. I no longer felt the desire to squeeze it all in because it was offered. I eliminated the activities that were were simply doing and focused on what got us excited. We still have three park days, a dance lesson, piano lesson, and lots of fishing to squeeze in every week as well as any field trips or other fun things we want to do. It is a balancing act. I want to get out and do things that will grow us but I also want to spend time as a family at home so we can grow together. We will be doing what works for us and making changes along the way I am sure. This homeschooling and life thing is such an amazing journey. I continue to grow with my children. I look forward to our slower year and all of the years to come. To see more of my homeschooling posts click here. ← Instant Pot Potato Salad: Quick & Delicious! 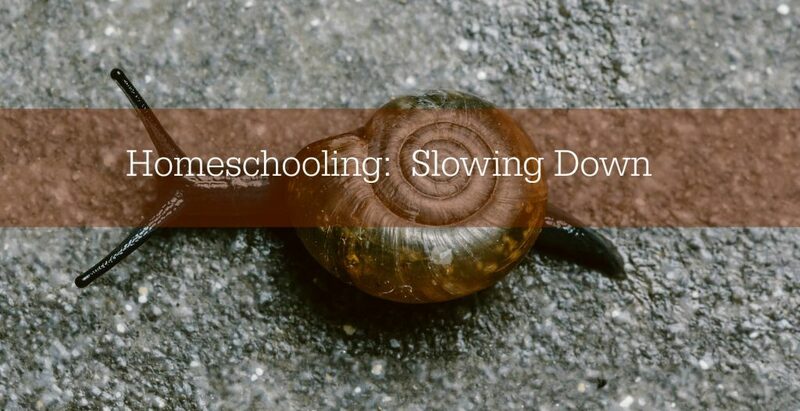 This is something our pastor often discusses- not specifically slowing down in homeschool, but in life in general. We often have days where we don’t leave the house and don’t pack in a lot, and I love those days because it allows me to focus mostly on my children.